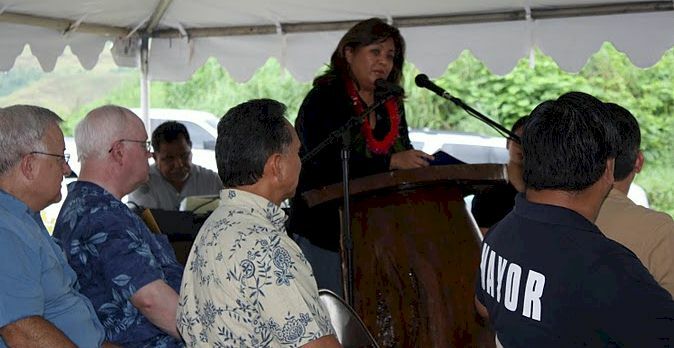 Frances M. Tydingco-Gatewood, Chief Judge, District Court of Guam, delivers remarks during ceremonies commemorating the permanent closing of the Ordot Dump. The Chief Judge of the United States District Court of Guam issued a court order appointing Gershman, Brickner & Bratton, Inc. (GBB) as Receiver to achieve what the Government of Guam was unsuccessful in reaching during the previous 22 years – compliance with the Clean Water Act as set forth in a Consent Decree. What the Judge tasked GBB with, and what the Consent Decree requires, is a complete 180-degree turnaround of a completely dysfunctional solid waste management system while closing a dump that has been open for nearly 70 years. The Consent Decree, signed between the Government of Guam and the United States Environmental Protection Agency (U.S. EPA) on February 11, 2004, ordered the Government of Guam to close the Ordot Dump, cease all discharges into the Lonfit River, open a new municipal solid waste landfill facility, and develop and implement recycling and hazardous waste strategies to reduce the volume of materials going into the landfill. 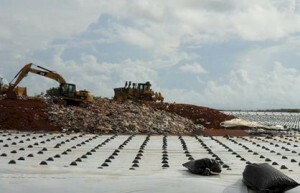 To develop the turnaround plan, GBB assembled a multi-disciplinary team of solid waste, procurement, landfill engineering, financial, and communication experts who, in April 2008, presented the Court with a roadmap for accomplishing the Consent Decree projects and reforming Guam’s solid waste management system. GBB, working with public works, financial departments, the military, private waste haulers, and other stakeholders in Guam, has opened a new landfill and is on a path to comply with all of the terms of the Consent Decree in the most cost-effective and expeditious manner possible. This has been accomplished under the guidance of the Court and in consultation with the U.S. EPA and the Guam Environmental Protection Agency (EPA). Established and engaged in regular communications with the media and public via the website and ongoing media correspondence. 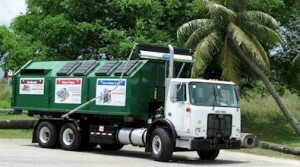 Implemented cart-based residential waste collection services. Prepared cost estimates for engineering, permitting, construction management, and construction for all Consent Decree projects. GBB staff placed priority on taking immediate steps to improve customer service and financial accountability, reduce costs through operational efficiencies, preserve disposal space at the existing dump until the new landfill could be built, and address long-term issues of financing Consent Decree projects – all while procuring and managing the design, permitting, and construction of the new landfill. Virtually no aspect of solid waste management remained untouched during the first year. Layon Landfill ribbon cutting ceremony. 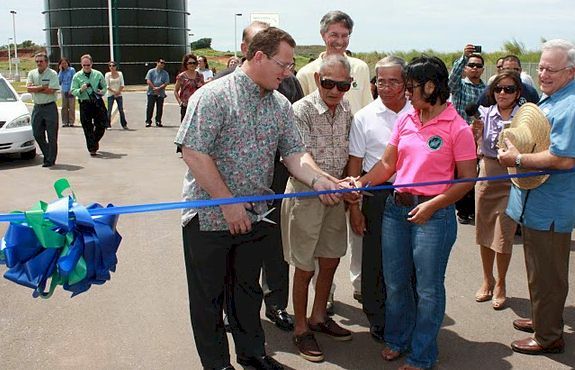 On August 31, 2011 and September 1, 2011, two events were held to commemorate completion of key milestones in bringing Guam’s solid waste system into compliance with the 2004 Consent Decree for violation of the Clean Water Act: the official opening of the Layon Landfill and the closing of Ordot Dump to waste disposal operations. The Layon Landfill is a high-tech, environmentally sound and highly controlled landfill for non-hazardous municipal solid waste. It was built with an engineered liner and a leachate collection and removal system that protects human health and the environment. With a capacity in excess of 15.8 million cubic yards, the Layon Landfill will service the island of Guam for more than 40 years. 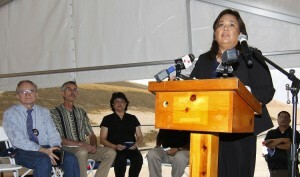 Frances M. Tydingco-Gatewood, Chief Judge, District Court of Guam, during the Hearing officially concluding the Environmental Closure of the Ordot Dump. On March 26, 2016, the District Court of Guam held a Hearing that officially concluded the Environmental Closure of the Ordot Dump. The Dump was in operation, beginning in the 1940s until August 31, 2011, polluting the Lonfit River in violation of the Clean Water Act. Working in conjunction with the U.S. EPA, the Guam EPA, the Ordot Mayor’s Office, and the people who live in the immediate vicinity of the Ordot Dump, the Receiver oversaw the design of an approved plan that met all of the legal and environmental requirements of the Federal and Territorial Governments. The plan provides for the legally required 30-year post-closure care of the facility that includes monitoring groundwater, leachate collection and control, methane gas collection and control, and financial assurance that the money will be available to carry out these activities. Leachate, which had been leaking out of the Ordot Dump and polluting the Lonfit River, is now being captured and diverted to a waste water treatment facility for proper treatment. The environmental closure of the Ordot Dump also captures harmful methane gas, a greenhouse gas that contributes to climate change. Three community meetings/small group discussions were held with Guam residents in the south, central, and northern village districts. The meetings were intentionally small, ranging in size from six to 11 participants, in order to provide opportunities for candid, in‐depth discussion of solid waste issues and the trash cart rollout plans. A total of 27 residents participated, representing the villages of Umatac, Agat, Merizo, Tamuning‐Tumon‐Harmon, Chalan Pago‐Ordot, Mangilao, Barrigada, Piti, and Hagatna Heights. 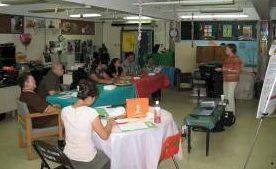 A series of stakeholder discussions was also held to obtain input from a select number of mayors, environmentalists, school officials, business representatives and media regarding the Receiver’s plans for implementing a new, cart‐based collection system for customers of the Guam Solid Waste Authority (GSWA). As part of the successful rollout of a new cart-based residential trash collection system, GBB developed a public information strategy to maximize residents’ participation and ensure a successful rollout. Tools developed included website content, news releases, detailed registration information, brochures, and cart hangers. 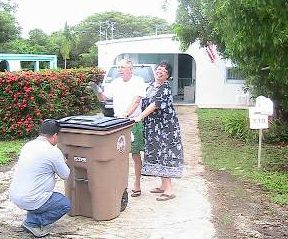 The response from residential customers to the new trash cart system was very positive. The initial supply of 7,000 carts was exhausted before a second shipment arrived. Demand for the new cart was so strong that a third shipment was required in order to complete the delivery of carts to new customers. Overall, 19,090 carts were delivered, an increase of 6,501, representing a 52 percent in total residential customers. GBB originally implemented a curbside recycling pilot program for 1,000 customer households with cart-based collection of fiber, plastics (PET and HDPE), and aluminum and bi-metal cans. 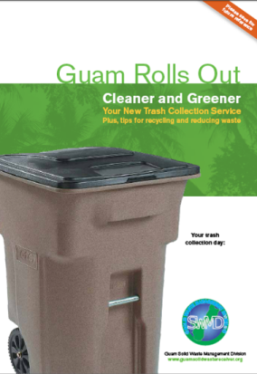 The objective of the pilot project was to determine the feasibility of implementing curbside recycling collection services throughout Guam for all GSWA customers. 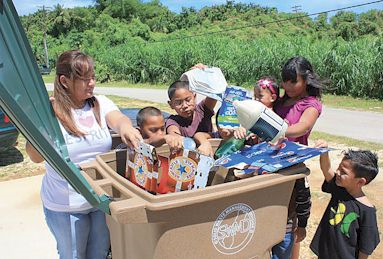 After a successful pilot project, an island-wide curbside recycling program was implemented for collection of paper (magazines, copy paper, newspaper, cardboard, cereal boxes, and other paper), aluminum and metal cans, and plastics 1 & 2 beverage containers every other week.